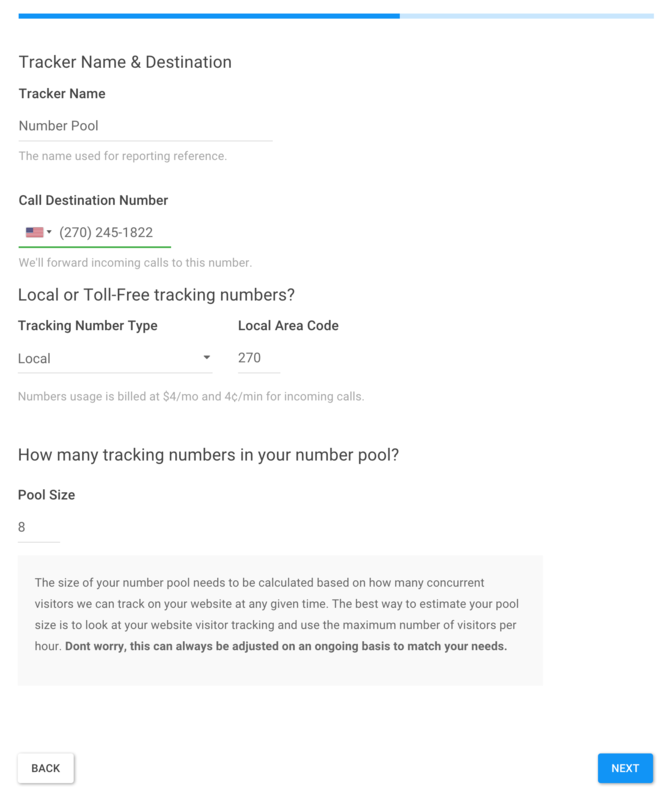 This is a step-by-step to setting up a Number Pool to track source channel, keyword search terms, pages visited, and more for the source of each call. Note In order to use our Number Pool tracking capabilities, you'll need to have Dynamic Number Insertion setup on your website. To get started, go to Trackers and then follow the Add Tracker button in the upper right hand corner. The first step is to choose online or offline. Online trackers are generally used to track activity on your website and PPC campaigns. 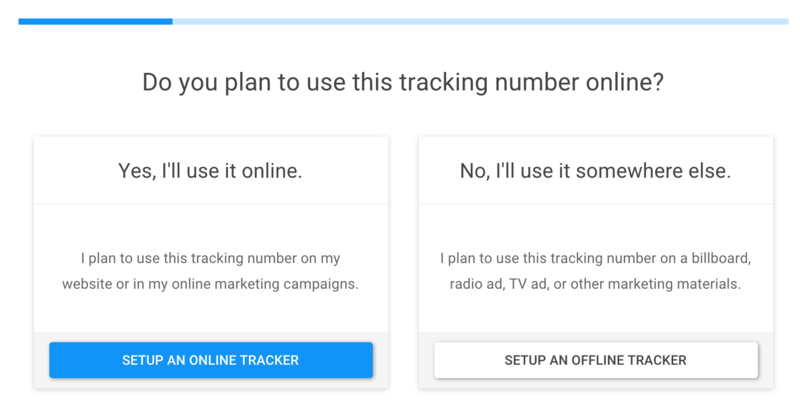 Offline trackers are for any other marketing channel where you you'd like to track calls, offline marketing channels include direct mail, billboards, radio ads, TV ads, print media and so you. 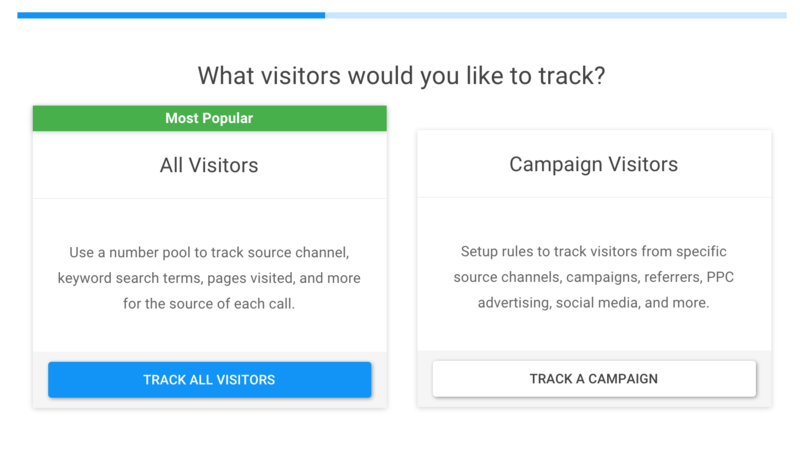 For this tutorial, we're going to choose a Number Pool because we want to track all visitors and track calls for our Adwords PPC campaigns. Number pools are quite simple to setup. Give it a Name, this how we'll refer to the tracker in all reporting and call details (this can be edited later). Add your Destination Number, this is the phone number that we'll forward incoming calls. Most people use their main business line here. Set the Pool Size (this can be adjusted from time to time to match your traffic requirements). The size of your number pool needs to be calculated based on how many concurrent visitors we can track on your website at any given time. The best way to estimate your pool size is to look at your website visitor tracking and use the maximum number of visitors per hour. In the final step, you can a whisper message and also enable call recording (recommended). Whisper messages are like quick heads up message played to the call receiver that the caller cannot hear so they have context for answering the call. Call recording will allow calls to be listened to and reviewed making it easy to go back and listen to a customer's inquiry or specific details without needing to write them down during the call itself.